Maldives is among one of the most enchanting places on earth where Mother Nature has splurged her love in huge volumes and made it extraordinarily scenic. It is primarily an Island republic and is located in the Indian Ocean near the equator. Maldives is practically a paradise for diving lovers. It has an array of world’s most exhilarating diving destinations that offer divers a never before diving experience. The Islands sprawled all over the Maldives actually make part of an underwater mountain range and is spread in the range of around 90,000 Square Kilometers. The beauty lies in the coral islands that make up for the 80% of the land area. As much as 200 species of coral lies within the ocean bed that sprays the land area year round. The marine life at the islands of Maldives is absolutely astounding. Over 2000 species of fish reside in the water bed. Maldives is known to have some of the clearest and calmest ocean waters which are why it is credited as one of the best diving destinations across the globe. The mild climate and a reasonably moderate temperature make up for a year round traffic at this location. Divers traverse along the clear blue water, experiencing some of the most extra-ordinary marine life deep sea. Maldives is worldwide famed for its liveaboard services that offer a never before diving experience. People who love scuba diving must at least once in their lifetime experience the thrilling excursion of Maldives Liveaboard diving. 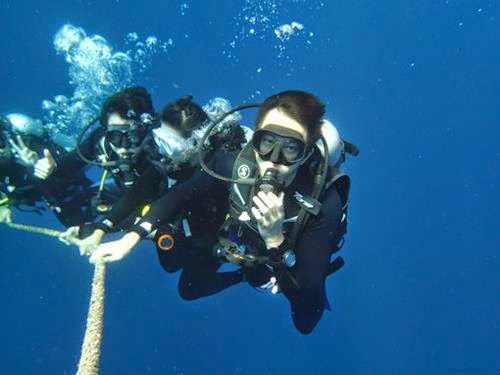 Liveaboard diving is one of the major attractions of Maldives diving expedition. These liveaboard vessels are especially designed to carry around divers to the most remote diving spots that are otherwise inaccessible to land based divers. Liveaboard diving lends an edge to divers when it comes to diving. Usually liveaboard diving voyages stretch to a length of days enabling divers to freely dive according to their will. Liveaboard vessels usually are spacious, therefore whenever you don’t feel like diving, simply drop down the diving gear and sit out on the deck, sipping on a cocktail while reading a book under the sunny climate. These vessels are manned by expert professionals who are down to the core of every diving aspect, therefore no matter of you are a diving amateur, these professionals will take care of everything. Under their guidance, you get to explore some of the most amazing underwater life in complete tranquility while being completely alive, living each moment of your life. Maldives diving locations are probably the best around the world. Diving here with folks or family is definitely an ultimate vacationing idea. Maldives liveaboard diving is one thing you definitely need to check out once you reach here. Enjoy your diving expedition.